Protein is the most abundant substance in the body after water and essential for promoting strong, healthy muscles. 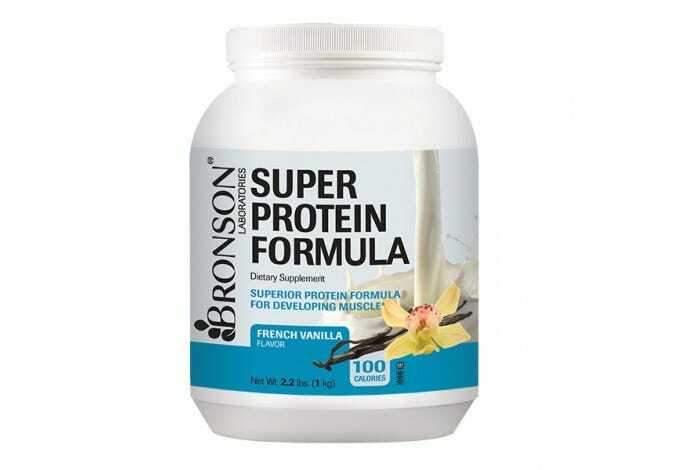 Maintain muscle condition with our selection of protein supplements, including Bronson Laboratories Super Protein Formula in creamy French Vanilla. Protein powders are also a convenient way to consume vitamins that aid with warding off hunger and getting an extra supply of antioxidants.